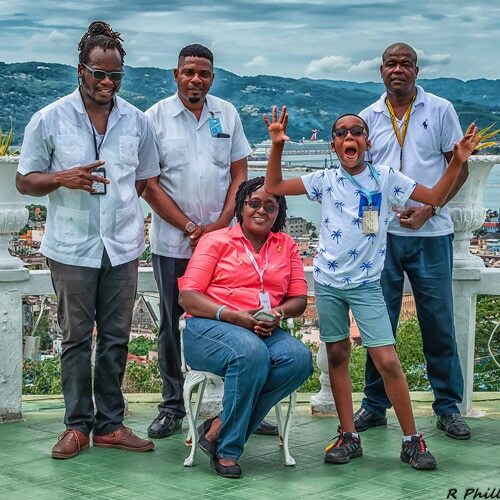 Owned and operated by patriotic Jamaicans, who are also mother and son, Marva and Javia Shaw developed Know Jamaica Tours as a means of showing homage to their birth island of Jamaica. Marva and Javia Shaw have been involved with the Jamaican tourism industry for over 20 years and have continuously been making a positive mark within this field ever since! Transport services are also provided for passengers staying at the various resorts and villas all across the island and also include airport transfers from both international airports, Norman Manley International, Kingston, and Sangster International, Montego Bay. At Know Jamaica Tours, all drivers and tour guides are trained and licensed by the Tourism Product Development Company and are, of course, approved by the Jamaica Tourist Board. That being said, Know Jamaica Tours offers a wide range of tour options to accommodate your budget and preferences. Our top priority is to keep you and your loved ones safe and to make sure you have a great time! Our mission is to ensure that each and every one of our passengers has unforgettable experiences which will surely have them coming back as well as pursue their peers to book their Jamaican vacations with us too! We constantly aim to be polite, tactful, punctual, and honest in all areas, which is why our motto is “Total Satisfaction.” Now that you know our background story, head on over to our tours section and give us the opportunity to help you Know Jamaica, our tropical paradise! Feel free to contact our team for any questions or suggestions to help us make your stay in Jamaica an even more memorable one. Know Jamaica Tours is highly recommended by fellow travelers like yourself on the world’s foremost travel guide TripAdvisor. Take a look at what some of our happy clients have said on TripAdvisor about us. Many of our guests come back every year to visit us. We want to make you the next member of our family!